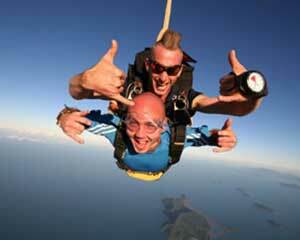 Nothing quite prepares you nor makes you feel as invigoratingly alive as a skydiving experience. Leaping from a moving plane up to 15,000 feet high before freefalling and floating like a bird back to earth is an exhilarating feat of fortitude like no other. 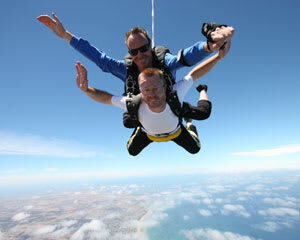 Adrenaline offers a range of skydiving activities, Australia wide, which are designed to be experienced in maximum safety and the ultimate thrill levels. 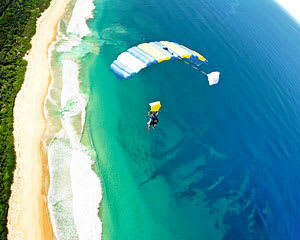 Whether it’s tandem skydiving over the beach, even skydiving indoors, at night or day, the choice and location is yours. With help from Adrenaline, introductory experiences and skydiving simulators will have Australia learning to skydive in no time. 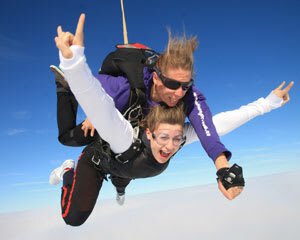 There’s a host of skydiving styles to live up to, from a solo skydive to accelerated free fall and tandem skydiving. Each and every type of experience is designed to provide the ultimate in gravity-defying exhilaration. Accelerated free fall is the fastest way to experience tandem free fall, from 10,000 to 15,000 feet in the air. You’ll be safely and effortlessly covered by one or sometimes two trained instructors, who are dedicated solely to you. Adrenaline offer accelerated free-fall courses that are the first step to becoming a licensed skydiver. There are nine stages and you’ll be landing your own parachute on the first stage. This means you’ll be solo skydiving in time. 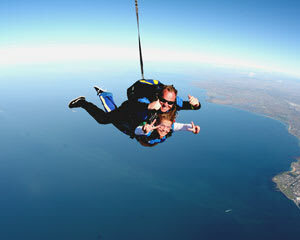 A solo skydive is for truly sky-bound brave hearts. This style of skydiving entails leaping from a plane, at one with the air and atmosphere, for a free fall of up to one minute before floating down to earth under your parachute canopy for up to seven minutes. Solo skydiving is the ultimate personal thrill and self-achievement. 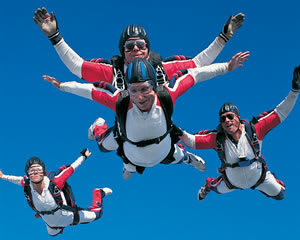 You are required to attain a certain level of skydiving experience before embarking on your breathtaking ascent. Adrenaline offer packages conducted by expert instructors who will ensure you aspire to your maximum level of skydiving excellence. Tandem skydiving involves a 60-second free fall accompanied by a trained instructor from up to 15,000 feet above sea level. Once you’ve experienced the heart-pounding ascent from your moving aircraft, you’ll float like a bird under the canopy for up to seven minutes, absorbing spectacular scenery before your soft landing on terra firma. 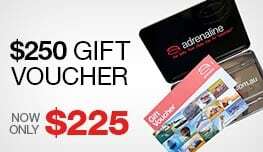 Whether you’re in Brisbane, Sydney, Wollongong, Melbourne, Adelaide, or wherever you are based in Australia, Adrenaline provides great deals on skydiving packages to suit all levels, preferences and experiences. 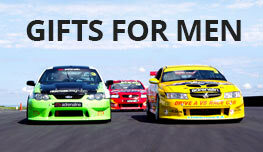 There’s midweek and weekend tandem packages with extras or additions at breathtaking locations fro all major centres. 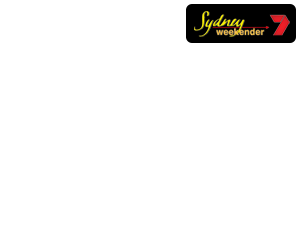 Is there a good skydiving facility in Australia? At iFLY Indoor skydive centres throughout Australia, which are leaders in their field for state-of-the-art technology and the military precision of their equipment, you will be buoyed by the rush of wind tunnels in ultra-safe, state-of-the-art surrounds, with maximum exhilaration and without extensive waiting times. Adrenaline relies on iFLY and once you experience indoor skydiving at one their premium, custom-built centres, you’ll understand why. What should I know before going skydiving for the first time? Expect the unexpected. Apart from an initial overwhelming bodily and psychological rush, free falling at 200 kilometres per hour for 45 to 60 seconds is guaranteed to induce goose bumps, perspiration, heightened blood pressure, sharpened senses, or all of the above. It’s an adrenaline-raising experience like no other and your fitness levels and medical wellbeing should be in tiptop shape to withstand these sensory pressures. You’ll need to be a minimum age of three for indoor skydiving and 12 for aircraft-propelled experiences. Weight restrictions also apply. Skydiving is also weather dependent so in the event of wild, rainy conditions, your anticipated activity will be postponed until the next clear, sunny day. Remember to wear comfortable lightweight clothing (you’ll be kitted out with goggles and a skydiving suit) and importantly, especially when in mid air, to breathe, enjoy the rush and live for the moment. Where is the most scenic drop zone for skydiving? 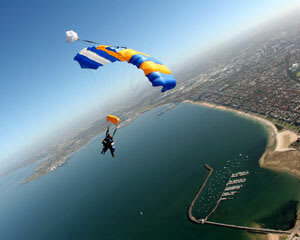 If you’re skydiving from Melbourne or Wollongong the most scenic spot on which to drop are undoubtedly close to the soft, golden sands of St Kilda Beach in Melbourne and in Wollongong. All drop zones used by Adrenaline are nearby to the departure point and spectacular beach views in tandem skydiving packages throughout Australia are guaranteed as you come into land at your designated drop zone.